The evolution of Francesca Blanchard has been swift and mesmerizing. In 2011, the young songwriter released her debut recording, a humble, handmade gem called Songs on an Ovation. The EP was as sweet as it was short. In a scant 17-minute span, it became clear that a new, crystalline voice was emerging. Back then, Blanchard was a theater student at Boston University. She has since moved back home to Charlotte and devoted her creative energies solely to music. In doing so, she caught the ears of a neighbor, ethnomusicologist Jacob Edgar, who captains the cutting-edge world-music label Cumbancha. Under his guidance and encouragement, Blanchard has blossomed. The fruit of her recent efforts is her full-length debut for Edgar's imprint, deux visions. Born in France and raised in Vermont, Blanchard is bilingual — an asset that sets her apart in the crowded folk-rock field. On the surface, the mixed-language title of the record is a nod to her cultural background. But it also suggests something deeper. Though melancholy, Blanchard's first EP was girlishly innocent. She's now more mature both in age and artistic experience, yet elements of that wide-eyed perspective remain on deux visions. A moody undercurrent imbues the album with darker, more contemplative hues. The record opens on "Rame," a French-language tune that swirls with ethereal, Mazzy Star-esque brooding. Thankfully, the album's insert includes lyrics for every song in both French and English. But non-francophones hardly need the English translation to feel the uncertainty and helplessness embedded in Blanchard's imagery of a rowboat on a stormy ocean. The metaphor speaks of struggle. As was the case on Ovation,Blanchard's theatrical background serves her well on visions. Her sense of dramatic contrast and narrative structure lends her material depth and nuance, and translates regardless of language. "Le blues" is just as sweetly wistful as the English "Home Is a Cage" is coolly longing. "Mon ange" is gently angelic; "Wanderer" is searching and circumspect. She coaxes texture and tone from her smooth, expressive voice as an actor would from his or her face or body language. The dramatic ebb and flow of Blanchard's songs is heightened by tasteful, subtly dynamic arrangements and pitch-perfect instrumental performances. Her EP was strictly a solo effort, but here she's backed by local luminaries including bassist Rob Morse, drummer Caleb Bronz, pedal steel player Brett Lanier and accordianist Tom Cleary, to name a few. There's a horn section led by Bryan McNamara and featuring Andrew Moroz and Luke Laplant. There are strings and percussion. And it's all expertly, warmly woven together by Montréal songwriter and producer Chris Velan. But the heart and soul of deux visions remains Blanchard, an ascendant talent who is equal parts French chanteuse and American folk singer. 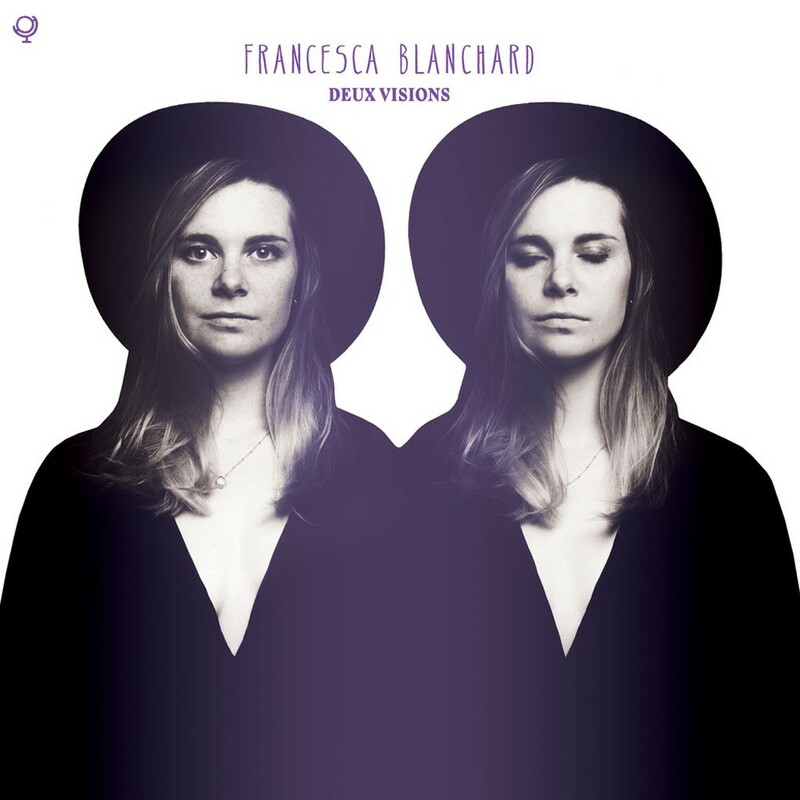 Francesca Blanchard celebrates the release of deux visions with a performance this Saturday, October 3, at the Spruce Peak Performing Arts Center in Stowe. The album is available starting Friday, October 2, at francescablanchard.bandcamp.com.